A beautiful smile is on everyone’s wish list. But it takes the effort to make and keep that smile as beautiful as it can be. Clean white teeth are a major part of your smile, and with a little work, you can make it happen. Teeth are like sponges – Like the skin, teeth also have pores. So whatever touches your teeth will leave a mark. Food and beverages like coffee and berries and habits like smoking will stain your teeth over time. Teeth whitening is not harmful – If you are careful about what you use, and take advice and guidance from a professional, you can whiten the teeth safely. Delivery is key – There are many different processes for teeth whitening available in the market today. You have to ensure that the device suits your teeth, so do not use anything without consulting a dental professional. Sensitivity is normal – Teeth whitening temporarily dehydrates the teeth, so it is completely normal to feel sensitivity for a day or so. Stain removal takes time – If you have been smoking or chewing tobacco for a long time, you will notice your teeth turning yellow. The deeper the discolouration, the longer it will take to whiten the affected teeth, so be patient. Caps and veneers cannot be whitened – Since these are of a different material than natural teeth, whitening products will not work. Bedtime is best – If you are using a home whitening product, apply it before bedtime so there is less chance of any exposure that could cause further stains while the whitening agents are working. Perfection is a myth – Bright white teeth are almost un-natural. Whitening helps with the removal of stains, but you should not whiten the teeth to a colour that it is not meant to be. Once you’ve decided that you definitely want to whiten your teeth, you now have to pick a method that works best for you. Although a dental professional is best qualified to offer you professional options, you can try some tricks that could help eliminate stains and leave a brighter set of teeth. Use an electric toothbrush as your hands can never match the speed and intensity of its cleaning action. Choose a whitening toothpaste to prevent new stains, and lighten old ones with a boost of baking soda. Don’t forget to clean your tongue with a tongue cleaner, or with your toothbrush, so bacteria does not transfer to the teeth and cause stains and decay. In addition to flossing, use an oral irrigator, which shoots a stream of water to clean between teeth, and in and around any dental work you may have done. Make sure you rinse the mouth after eating sugary, starchy, and acidic foods. 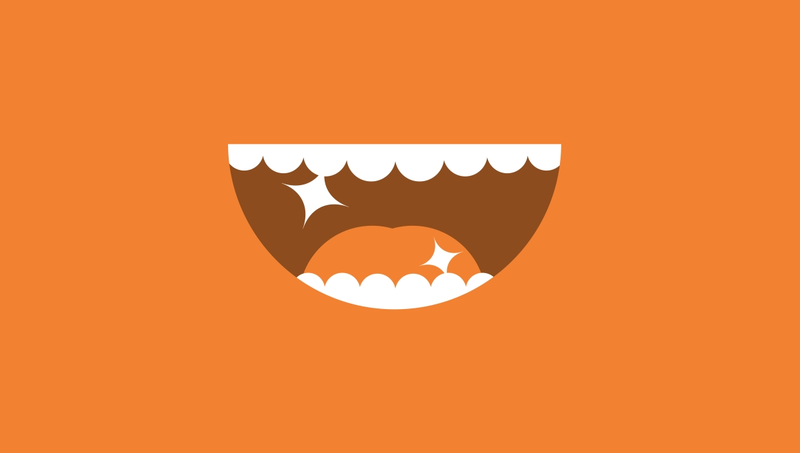 Sugar and starch are a bacteria’s dream come true, and acidic foods can erode enamel even without bacteria. If you are consuming sugary drinks, use a straw to minimise the contact with the teeth. Sugar-free gum that has xylitol prevents plaque and even helps to neutralize pH levels in the mouth and increase saliva production. And finally, if you feel your teeth are dull, use a dark shade of lipstick to make the teeth stand out and appear brighter. Broccoli contains high levels of iron, which reduces acid erosion leading to discolouration of teeth. Cheese raises the pH level in the mouth and reduces the chances of tooth decay. It also contains calcium and protein, which helps strengthen enamel. Pumpkin seeds are full of nutrients and vitamins, like zinc, iron and magnesium, which strengthen tooth enamel and prevent decay. Brushing with baking soda scrubs away stains on the teeth. Rinsing with coconut oil for a few minutes every morning will help brighten the teeth. Apple cider vinegar is a good agent for whiter teeth. Brush your teeth regularly, and after eating sugar and starch if you are prone to stains. Almonds are a great source of calcium and protein, whilst being low in sugar, and are healthy for the teeth. Probiotics are good bacteria found in certain yoghurts, soy milk, and dark chocolate, which help prevent gingivitis (gum disease) and plaque from building up. Drinking green tea not only detoxifies the body, but also the teeth. It is also rich in fluoride. Just like with most things, yes, you can overdo it with the whitening. A regular routine of whitening gum, toothpaste, DIY trays and whitening strips and can lead the teeth to appear less lustrous, but they quickly regain their sheen. Signs you’ve overdone whitening include seeing teeth that have a chalky look to them or teeth marred with white spots. One dentist-recommended way of gauging the kind of white you’re aiming for with your teeth is to take a look at the whites of your eyes and let that be your guide for how white you want to go with your teeth whitening. Depending on your oral hygiene and dietary habits (i.e. coffee and red wine drinking), you will need to retouch your teeth with at-home whitening treatments in 6, 12 and 18-month intervals. Why could more whitening be problematic? The peroxide in whitening agents can lead to cellular damage, such as gingivitis and oversensitivity, in the gums. Overdoing it with the DIY strips can also wear away the outer shell of the tooth, known as enamel. Teeth in their natural state are not bone-white, but more of a pearly shade. Stick with matching the color of the whites of your eyes and don’t aim for shades whiter than that.